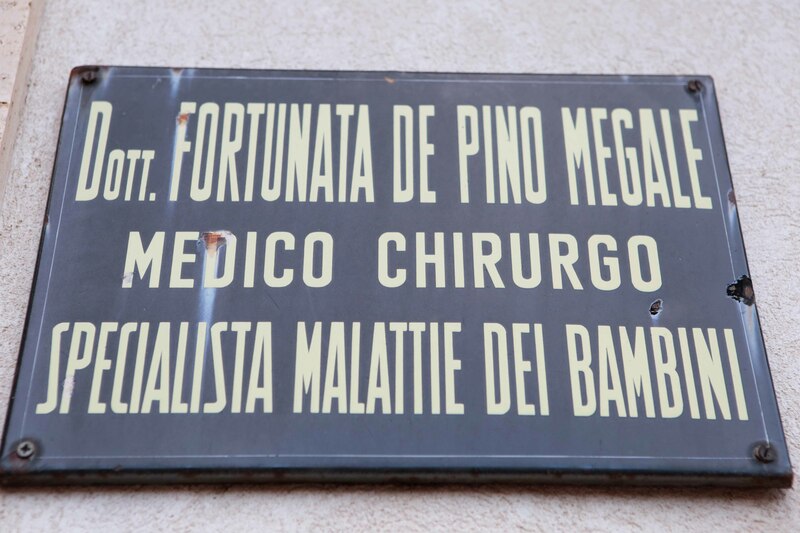 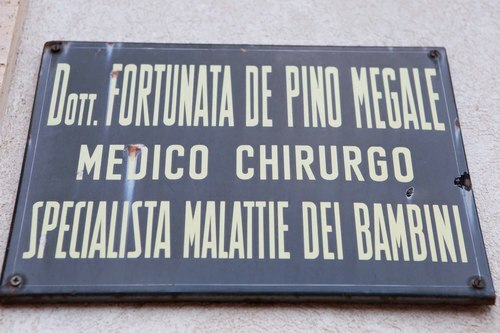 Near the home where Fortunata Megale lived in Cittanova (via XXIV Maggio, 20) there is her consulting room. 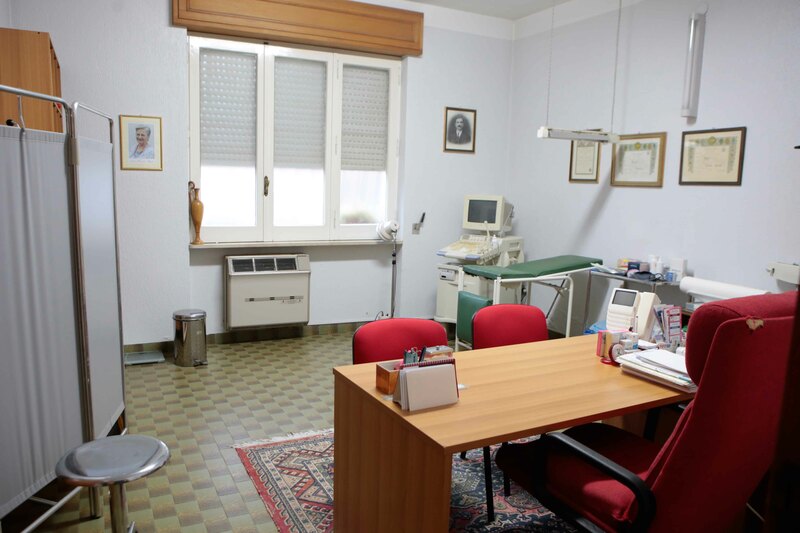 There she carried out the activity of general medicine, starting at 06:30 a.m., and in the afternoon she welcomed all her little patients as a freelancer pediatrician. 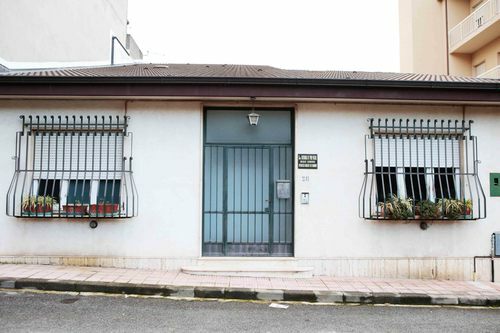 During her demanding job, she was always supported and accompanied by Rosalba, a faithful and estimable woman who is still working in the house as housekeeper. 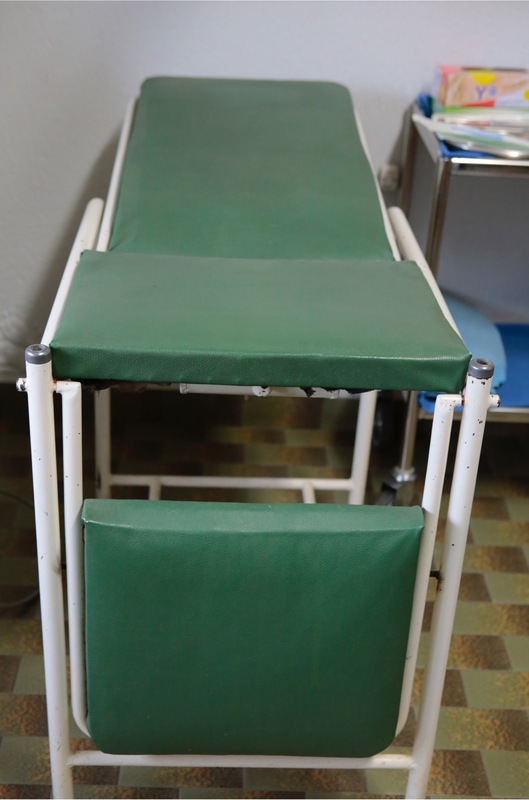 The consulting room was equipped with this green couch, used by Fortunata Megale to let her patients lie down. 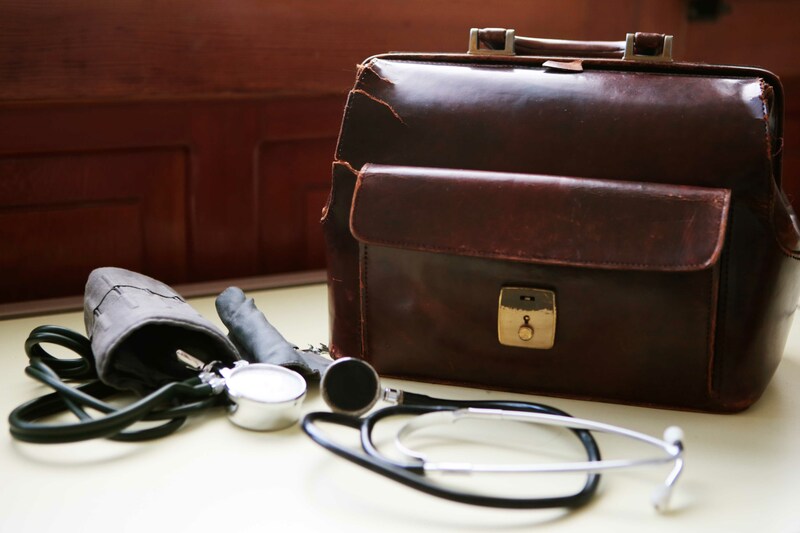 This is the medical bag of Fortunata Megale, which accompanied her during her long career and some instruments, such as one of her stethoscopes. 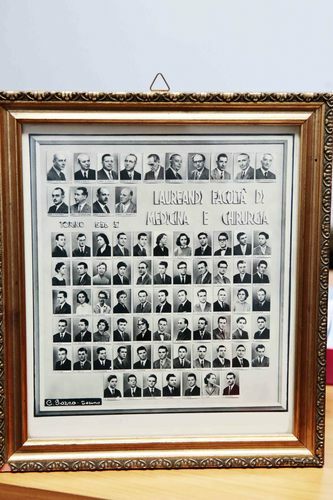 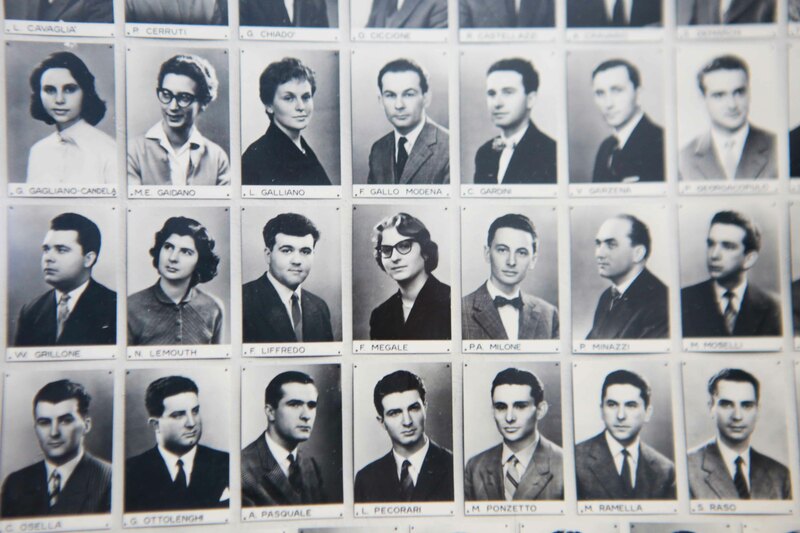 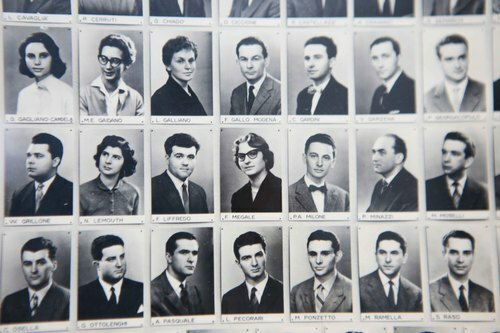 This picture is the witness of the small number of female students who graduated at the University of Medicine and Surgery in Turin between 1956 and 1957.